A flash of vibrant green will illuminate any look. 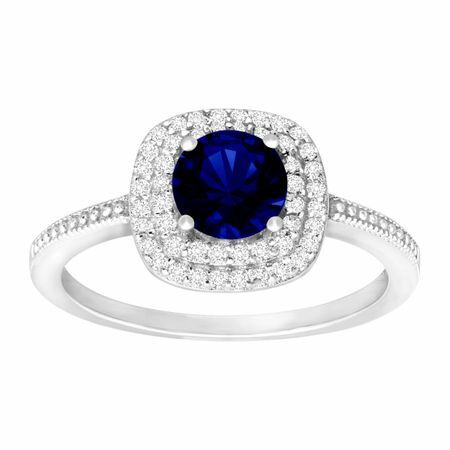 A 1 ct round-cut created sapphire is haloed by sparkling cubic zirconia totaling 1/3 ct and set in a gleaming sterling silver band. Ring face measures 3/8 by 3/8 inches.